The Greater Bossier Economic Development Foundation (GBEDF) has launched an employee recruitment video that promotes the quality of Bossier-Shreveport’s quality of life. The GBEDF has prioritized the effort to position the region to support continued economic advancements and show the many opportunities available in northwest Louisiana. This led the GBEDF to make investments in Bossier’s digital presence with a new website and creation of the video. “A community’s digital presence is now often its first impression; a one-time opportunity to offer a virtual handshake. We believe our focus on a digital presence will help to creatively communicate the area’s accolades and unique culture,” said GBEDF Executive Director Rocky Rockett. Starting in 2014, the foundation underwent an entire rebranding initiative which afforded the organization the ability to look strategically at how Bossier presented itself. Throughout the process, local businesses looked to the GBEDF for assistance with employee recruitment efforts needed to grow the workforce. In response, the foundation created a new website dedicated to doing business in Bossier. “Our new site details decision-making resources, information, and statistics. This is a valuable tool in marketing the area as an attractive place to businesses looking to expand or relocate,” Rockett shared. 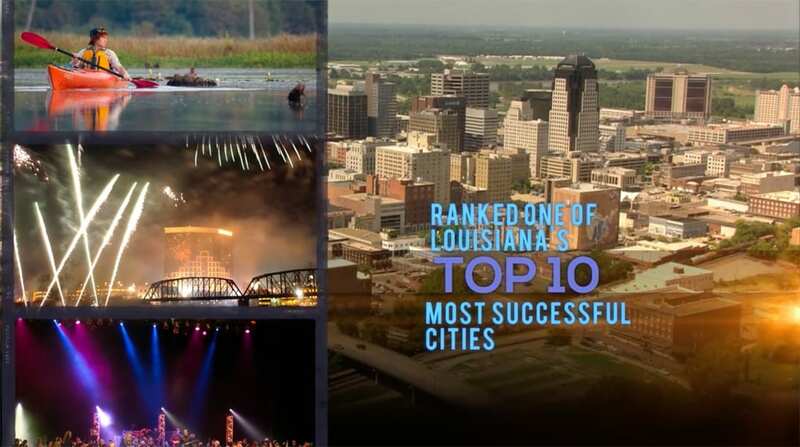 The website resource and recruitment video comes at a time when both Bossier City and Parish are expecting large population growths. GBEDF projections show Bossier-Shreveport could soar to nearly 20,000 additional residents by the year 2019. The increase is largely due to an out of area population relocating for new jobs within the IT, defense, oil and gas, and healthcare sectors, which are the cornerstones of the local economy. “We want the outlying communities and businesses to know that ‘Bossier Means Business’. Our strategy is built on communicating the value of doing business here, and with that comes a responsibility to prove that our area provides a high quality of place for families and individuals looking to relocate,” Rockett added. Couple the population boom with Bossier’s investment in the re-invisioning of the downtown area and the growth of the Cyber Research Park and its main tenant CSRA, and it’s easy to see how the physical and work force landscapes are changing the community. “The GBEDF stands ready to partner and respond to the needs of our changing landscape and looks forward to the continued progress of Bossier,” Rockett said. You can view the new video at www.gbedf.org/about/explore-bossier-beyond and you can view the new website at www.gbedf.org.